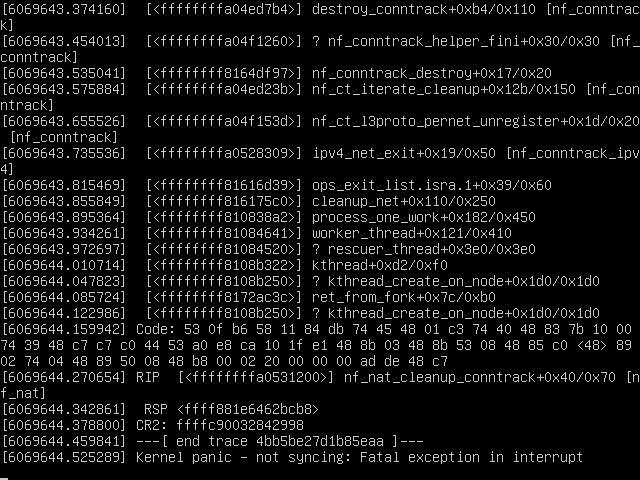 Launchpad couldn't import bug #65191 from Linux Kernel Bug Tracker. 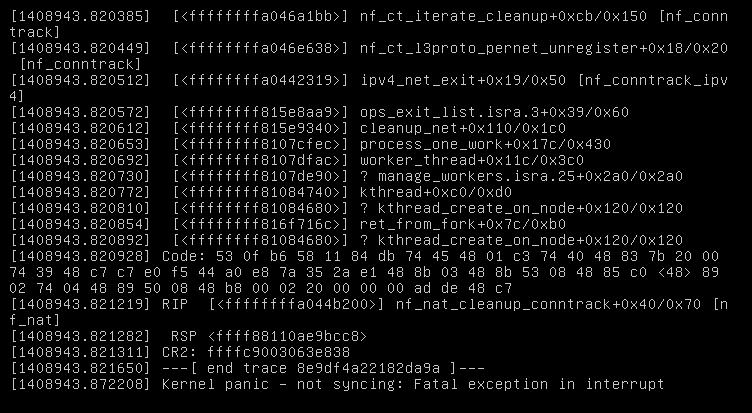 I don't have crashdump, only an ipmi console screenshot with half of the oops message. Did this just start happening after a recent update or upgrade? Was there a prior kernel that did not exhibit this bug? No, it was running for weeks or so. Otherwise it's a fresh install, so I don't know, if there was any kernel without this bug. It happened again, ipmi console is captured and attached. Unfortunately apport wasn't installed on the machine. Do you have a way to reproduce the oops? If so, I can perform a cherry-pick of commit 945b2b2d259d1a4364a2799e80e8ff32f8c6ee6f and build a test kernel. Not really, this was the second case I encountered it in a very long time. My guess is that it could be reproduced in reasonable time with moderate network traffic and a bunch of lxc-start/stop. After a while it should happen. Anyway reading the commit message it's very probable, that this commit will fix this issue. I just faced it again. Joseph, do you have a confirmation, if it fixes this issue? It's really annoying and LXC is hard to "sell" anyone, if the host machine goes down from time to time.